Happy Memorial Day!! We remember those who sacrificed so much to serve us today. It is also a day to spend time with friends and family and celebrate the official beginning of the summer! Today we are having the first of many BBQs. I recently discovered chimichurri sauce on flank steak at Wholefoods (but that is for another post). 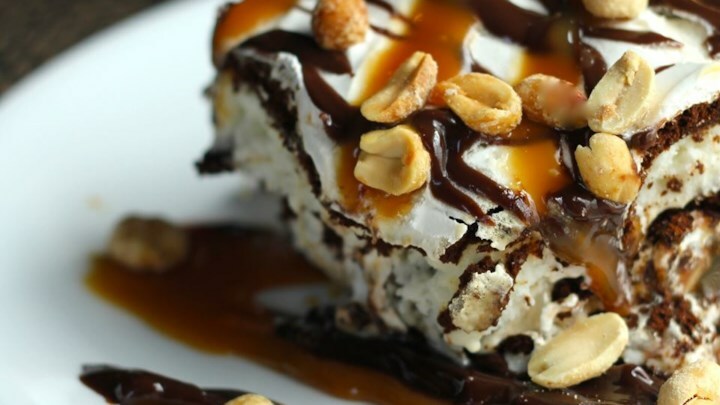 It is so delicious but I searched and searched for an easy all-American dessert that we could make over and over again for all our summer guests......AND, I think this is it......WAIT FOR IT.......Ice Cream Sandwich Cake. You are going to love it. Happy BBQ!!!! !